The MOARGeek staff is pretty united our love for a few shows. Game of Thrones, House of Cards, and Orange is the New Black all placed highly on almost everyone’s lists. Orange is the New Black and Game of Thrones tallied for a virtual tie for our favorite, with the former taking the top spot thanks to two individual number one rankings. Here are our favorite TV shows of 2014. What a year for TV shows. It saw a couple of my favourites – Sons of Anarchy and Boardwalk Empire – come to an end, while other favourites delivered exciting new seasons. Sons of Anarchy did a great job bringing everything full circle and really closed the story with its final episodes. Check out my top ten eleven moments from the series. Boardwalk Empire starred Steve Busecmi in one of his best roles to date. While the final season was a bit slower than the rest of the show, once again it did an excellent job of wrapping things up and ending the show without any real way to make a comeback later as some shows are apt to do. House of Cards continued to show why it is possibly the best show Netflix has to offer at the moment, and Game of Thrones continued to do a great job of translating George R.R. Martin’s behometh works to the small screen. Rounding out my top five was a late release from Netflix this year – Marco Polo. 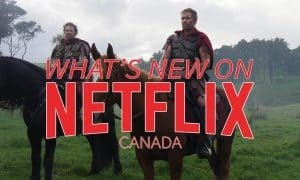 While many were calling it Netflix’s answer to Game of Thrones, I didn’t find it as such. It’s definitely a great historical time piece and now that I’ve finished the first season I’m looking forward to reading some more about Marco Polo and seeing how much was historically accurate. I wish this was a top ten as Orange is the New Black, American Horror Story, Marvel’s Agents of S.H.I.E.L.D., and a couple others definitely belong on this list as well. Orange Is the New Black was a pleasant surprise. We didn’t watch the first season until after the second was already out, which allowed us to binge watch both seasons over the span of a couple of weeks. Excellent writing, acting, story, etc. Sure there are some campy parts, but overall it’s a really fantastic series. I’ve reinforced my view that I really shouldn’t like anybody on Game of Thrones, because as soon as I do they will die horribly. The ending of How I Met Your Mother was disappointing overall, but the series provided enough laughs for me to recommend even the final season as a top show in 2014. American Horror Story maybe isn’t AS good this year as in years past, but it earns high marks from me for Mr. Twisty if for no other reason. I considered adding The Walking Dead to round out my top 5, but I practically can’t change the channel when How It’s Made comes on, so that has to count for something. This year’s second season of Orange is the New Black came back strong. Pushing it’s refreshing, strengthened, female-focused dialogue; it forced me to suffer as a result of my quick binge-watching of every episode within a few days. The show continues its tradition of providing original perspective with a pleasantly diverse cast. The fourth season of Louie maintained its founding philosophy of focusing on new production, filming, and editing styles with Louis CK’s classic grumpy dark humor dumped on top. Despite it’s grandeur, the fourth season of Game of Thrones dragged a bit, and took advantage of it’s addicting action and fantastical themes that spread its rich content a little too thin. Most of the season felt like eating the crust of a really good sandwich, but when you finally bit into the meat of the sandwich you didn’t regret it for a second. 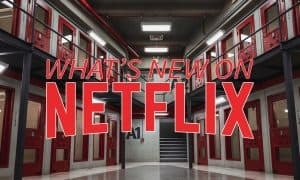 Trailer Park Boys returned via Netflix for its eight season, and didn’t skip a beat since its last airing. The show will continue into its eleventh season next year, and if there’s any indication by this years return it looks like the boys are back. Television in 2014 for me felt like a bit of a letdown. Nothing was absolutely terrible by any stretch (unless you count Ascension), but it was a lot of ho-hum, average shows. Aside from my top two of Game of Thrones and House of Cards (both of which had phenomenal seasons) the rest of the list is just what was the least below average. Veep is still as hilarious as ever, and South Park had a decent enough season, especially considering its track record in recent years. Gotham, while another show that was just above average, doesn’t deserve nearly the amount of heat it’s getting. Sure, it doesn’t following the Batman timeline or mythos perfectly, but I honestly don’t care. It’s first season began to focus and tell a compelling story about a 1/3 of the way through and from then on out it was a downright enjoyable crime drama with some hints at an iconic super heroes future. Blacklist, OMG! Probably the single best TV show of 2014 from where I am sitting. James Spader makes you believe in his character and the whole show was just amazing, hands down my favorite of 2014. Chicago PD had to go 2nd even though it’s just as good as Blacklist, loved the cast and stories and love to see my city on a TV show. Longmire, I am hoping this gets picked up by Netflix cause the show is brilliant! Again, it’s #3 on the list but could be up at #1 with Chicago PD and Blacklist. Marco Polo was a surprise from Netflix, not a fan of the other Netflix series but this one is really awesome! Game of Thrones, well, ‘nuff said.